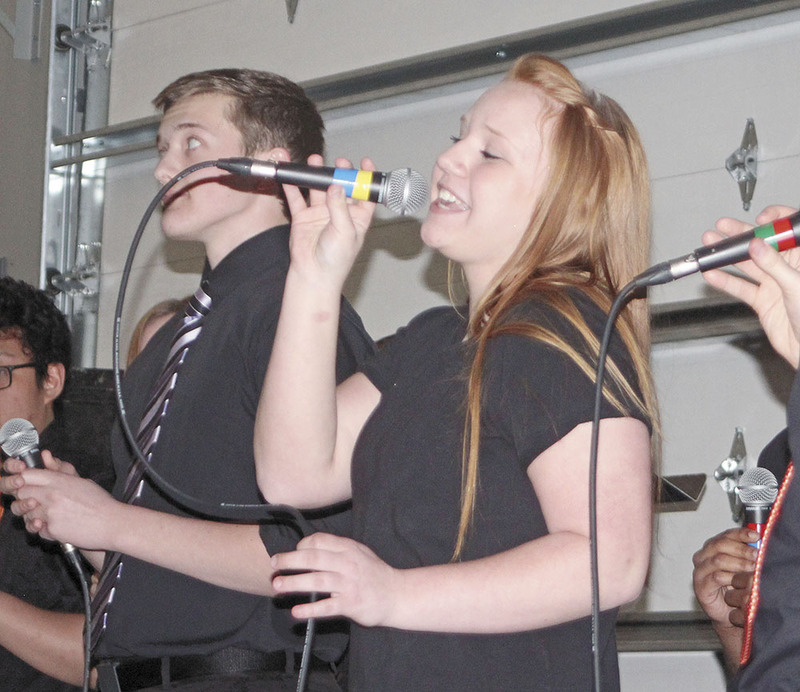 The sweet sounds of music were all the sweeter Tuesday night at Charles City High School’s “Jivin’ With Jazz” event at the Youth Enrichment Center at the Floyd County Fairgrounds. 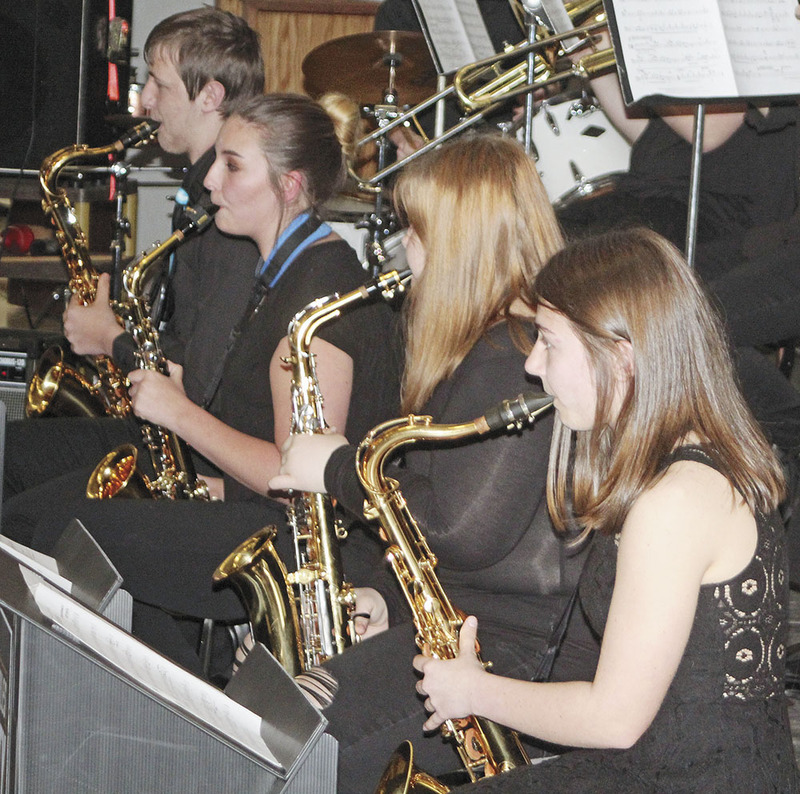 That was not just because of the talented performers on the stage, it was also due to a new sound system in use — a sound system paid for by funds raised at last year’s “Jivin’ With Jazz” event. Instrumental jazz music director Jake Gassman called it the “maiden voyage” of the new audio hookup, which has been utilized in rehearsals but never before in a live show. 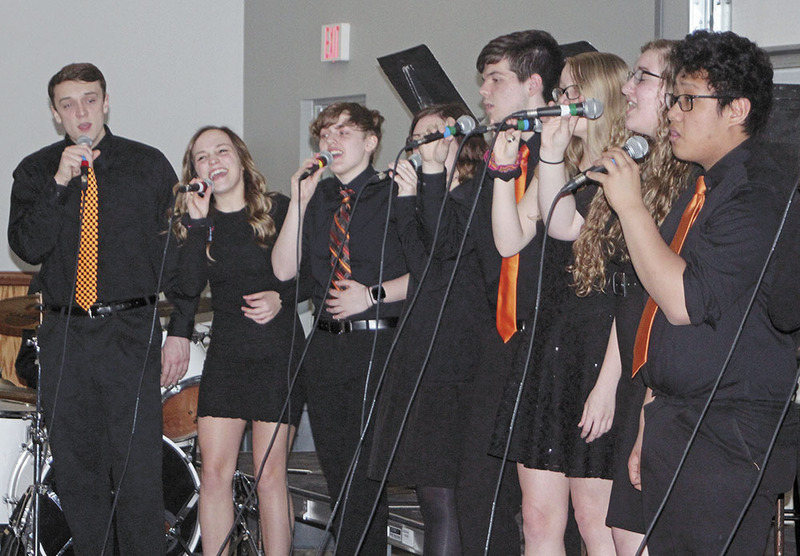 The annual event featured entertainment including CCHS’s instrumental jazz ensemble as well as the vocal jazz groups Rhymes With Orange and 2JazzedUp. 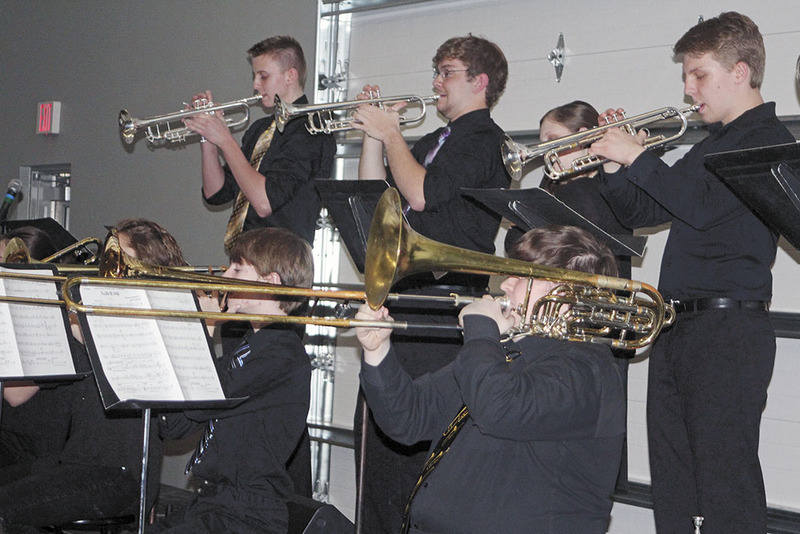 Jivin’ With Jazz has been a tradition at Charles City for at least 15 years, and initially included just instrumental jazz performances. The vocal jazz groups have been added over the last couple of years. 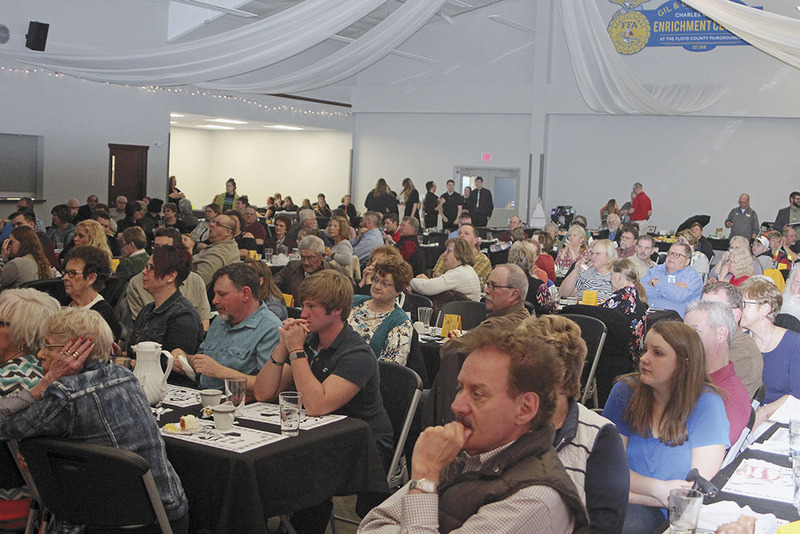 More than 180 people attended the fundraising event for the CCHS jazz program, which also featured a silent auction and dessert bar with the dinner and show. The dinner was catered by Dave Holschlag, and the students provided table service. The vocal group 2JazzedUp performed “I Wish You Love” by Kirby Shaw and “Lua Soberana” by Kerry Marsh. Rhymes With Orange performed “Operator,” by Kirby Shaw; “Embraceable You,” by Jay Althouse and “You Make Me Feel So Young,” by Jeremy Fox. Then the two vocal groups got together to perform a rendition of “Daddy Sang Bass,” by Carl Perkins. The vocal groups were directed by Derek Sturtevant. The instrumental jazz ensemble, directed by Gassman, performed “Blues Could Be King!” by Scott Stanton; “Stolen Moments,” by Oliver Nelson; “Feeling Good,” by Leslie Bricusse and Anthony Newley; “I Remember Clifford,” by Benny Golson and “Menteca” by Gillespie, Fuller and Gonzalez.